The Haunting of Willowood tells the story of a bitter ghost and his pet owl who haunt a sleepy town until a lonely boy interrupts his nightly routine to teach him a lesson. 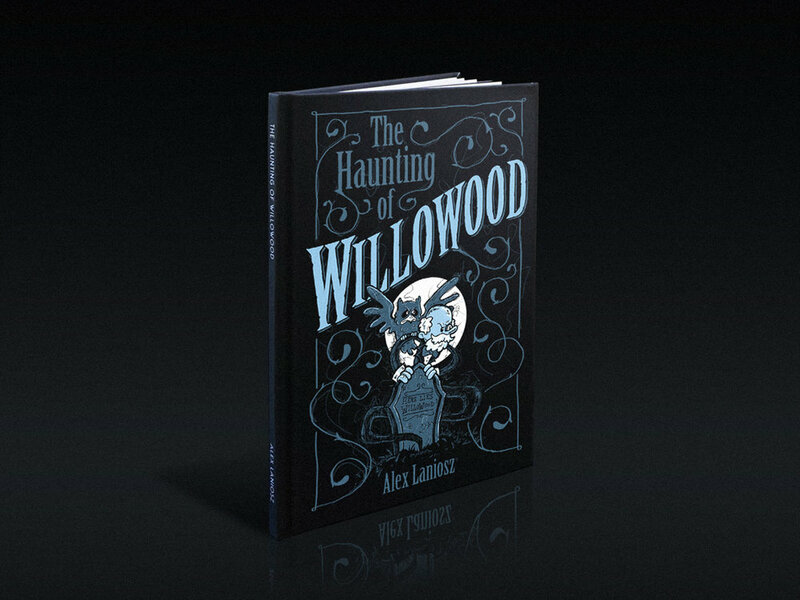 I wrote, illustrated and self published The Haunting of Willowood 2013. The hardcover book is 6.25" x 9.25" with 24 illustrated pages.